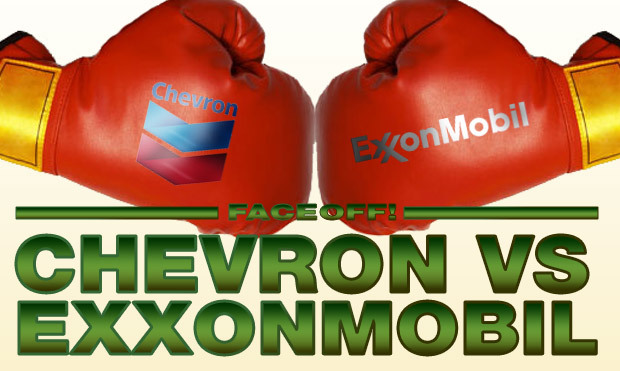 It’s hard to pick a winner in a sustainability faceoff between two oil companies–we’ve all seen in recent weeks what kind of havoc said companies can wreak–we haven’t forgotten about the Exxon Valdez disaster, either. Nevertheless, author R. Paul Herman attempts to compare Chevron and ExxonMobil based on the factors of profit, management, and human impact (health, wealth, earth, equality, trust) in the new book The HIP Investor. So who comes out on top? ExxonMobil has invested some resources in renewable energy as of late–the company recently ponied up $600 million for a partnership with Synthetic Genomics to develop algae-based biofuel. Exxon has also given Stanford’s Global Climate and Energy project, which researches alternative fuels, $100 million over the past decade. And in an email to Herman, Exxon claimed that it has invested over $1.9 billion in activities that cut down on greenhouse gas emissions and improve energy efficiency since 2004 (out of hundreds of billions in yearly revenue). The company also noted that it contributed $235 million to communities worldwide last year. We shouldn’t give ExxonMobil too much credit, though. CEO Rex Tillerson has derided biofuels as “moonshine” and last May he proclaimed that oil production hasn’t peaked and the world won’t move beyond coal, natural gas, and crude oil for 100 years. That leads us to believe ExxonMobil will never give alternative fuels a truly significant amount of attention. Chevron fares slightly better in the sustainability department. The company has spent $3.8 billion on renewables, energy efficiency, and emerging energy technologies since 2002. Chevron expects to reach $2.3 billion in capital investment and operating expenses in these sectors between 2010 and 2012. It also recently became the first oil company to track its carbon emissions. And Chevron Energy Solutions is the largest solar installer in the U.S. education sector. The company’s Gorgon Project is slightly questionable, however. Gorgon is set to become the world’s largest CO2 injection project, with 120 million tons of reservoir CO2 from the Gorgon natural gas fields (off the coast of Australia) expected to be injected over 1.5 miles underground. But serious safety and environmental concerns remain–not to mention the fact that the Gorgon natural gas fields are offshore (a safety and environmental concern in and of itself). Even though Chevron only invested $160 million in communities around the world in 2007 (less than Exxon’s $235 million in 2009), we still have to declare Chevron the winner in the battle of the big oil companies. It has much more riding on alternative energy than ExxonMobil, and that’s a big deal for our collective energy future. Excerpted from The HIP Investor: Make Bigger Profits by Building a Better World by R. Paul Herman Copyright (c) Published by John Wiley & Sons. Used with permission.